In this blog I explain how I took this picture. You may recognise it from the Kittiwake One website and I've picked it because it represents a great example of eye-catching beach photography. In going behind the scenes I will look first at the practical aspects behind finding a good location to shoot from, before looking at the equipment needed and finally the technical side of the photography. I'll then finish up with a look at the way the original photograph was processed to achieve the final result. For every point I'll answer the most important question: Why? Why was it important to use a particular camera, or lens, or why was it important to dress a certain way when taking the picture. So prepare to behave like a 5-year old and ask 'why' at every turn. And prepare, for a change, to get a straight answer every time! Before you continue, know this: People and seasides and cameras are a bad combination. Why? Because although the best outcome is a fantastic photo, you might end up damaging your camera or yourself through a lack of basic awareness of what's going on around you. The beach is a beautiful but dangerous environment. Being near rocks, sand and water while distracted is inherently dangerous. If in doubt, do not attempt to take this kind of photo. Other equipment: Solid tripod, remote shutter release. Any sandy beach with rock formations on it is an ideal spot for this kind of landscape photo. The most important aspect to consider, for your own safety, is to always make sure that you pick a location where you can't become trapped by an incoming tide. Why? This means you want to make sure you're always looking behind you and checking to ensure that you have an escape path across safe, solid ground. This may sound obvious but when you are concentratin on getting the perfect shot to,e will fly by and you can find yourself cut off from safety very quickly. Now you have a location you'll want to take this picture around either dawn or dusk. Why? Because that's when it's easiest to get all the elements (sky, rocks and water) looking their most dramatic. Why? It's mostly about the water. To make it look all misty, you'll need a long shutter speed (1 second or more). And to make that work without just getting a completely 'whited out' picture, you need it to be dark-ish. The added benefit is that you'll have long shadows and therefore plenty of texture in the rocks, and the sky will look nice and dramatic too. Pay attention to the tide times. Why? You'll want to make sure, based on the tide, that the water will be lapping near the rocks in your picture. Figure out where the rocks are in relation to the high and low tide points then consult a tide time table. Look for a day when the tide is going to be somewhere near the rocks at about the right time of day, and go for it. When preparing to take a photo like this it's important to dress right. That means warm layers and waterproof layers. Why? Because it's cold and wet. As the sun drops below the horizon the temperature will drop rapidly so, even in summer, don't assume your flip-flops will cut it. They won't. And it's not just about your comfort. The less cold you are the less you'll shiver, and the steadier you'll be when hitting the shutter. I used an SLR camera for this (a Canon EOS 5D) but really any camera that allows you to change its shutter speed, aperture and ISO settings manually, and independently, will be perfect. Why? Your camera's automatic mode won't know how to take this kind of picture so you'll need full manual over-rides. 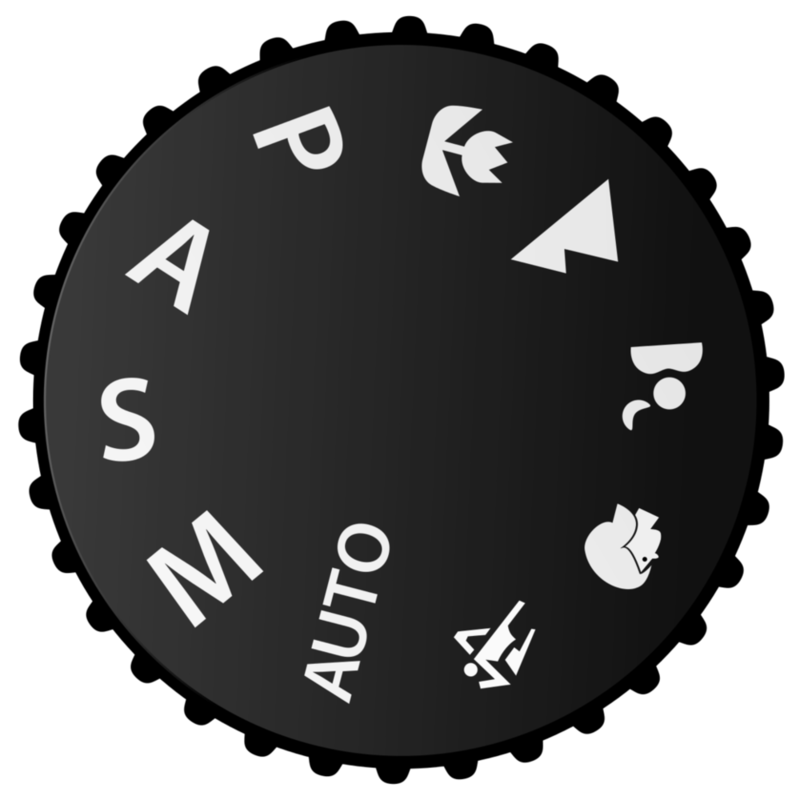 The settings you'll use will be, in your camera's opinion, 'wrong' which is why you need to over-ride its influence. I used a wide angle lens (ours was 21mm but this can be anywhere between 16 and 27mm). Why? Because this type of lens is less susceptible to blurring due to camera shake, and has a unique perspective that can look down on the rocks in the foreground and straight at the rocks in the distance at the same time. That said, use whatever lens you have. It’s all good at the end of the day. You’ll need either one of these. Why? The shutter speeds you’ll use in taking this photo are so slow that just the act of pressing the shutter will set the camera shaking enough to blur the picture. A remote control (if your camera features it) means you avoid touching the camera all together. The simpler solution, and the one used here, was to use the camera’s self-timer mode. This works because the camera will wait a few seconds before taking the shot, by which time it’s stopped shaking. Make sure your mobile phone and camera batteries are charged. Why? Because you'll need them to perform in the cold. One will help you take the pictures and the other will help you get out of trouble should you find yourself in it. Or to phone ahead and get a cuppa lined up for your return from the great outdoors! You'll need a solid, preferably waterproof, tripod. Why? The picture needs a slow shutter speed (see later), which means your camera needs to be kept absolutely rock steady during the process. Without a tripod your picture will be blurry. Furthermore without a solid tripod even a small wave could knock your camera into the water, so go for the heaviest, sturdiest tripod you can get your hands on. You're all prepped and ready to go now so let's take a look at the settings you'll need when you take the picture. You need a small aperture (f-number of 8.0 or higher). Why? To ensure that as much of the foreground and background of the scene is in focus as possible). Wide angle lenses are also notorious for being 'soft' (camera speak for blurry) around the edges. They tend to perform best (sharpest) around f8.0 or higher. You'll need a long shutter speed (longer than 1 second). Why? It turns the moving water to mist. You'll need a low ISO setting (closest you can get to ISO 100) without your camera producing a completely black or overly dark picture. Why? The lower the ISO, the smoother and sharper the photo will be, and the better it will look printed large and hung on your wall. The two pictures below show the original photo and the final photo after a few tweaks in Adobe Lightroom. The first is the original raw file and is interactive so you can see exactly what was tweaked and why. The second, below it, is the final output from Adobe Lightroom.